The Portable Ring Flash Set GXR-600 is the perfect companion for the photographer who counts on mobility and independence. 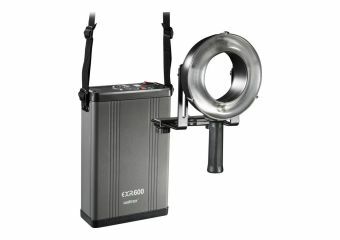 It is a small and light-weight portable set which has an output of 600Ws despite its small size and with which you can achieve a ring flash effect. The set from walimex pro impresses with its excellent and precise workmanship and is designed to withstand the strains in outdoor use. Owing to its low weight and compact size, the set is very mobile and ensures absolutely professional results. The simple handling facilitates the work additionally. 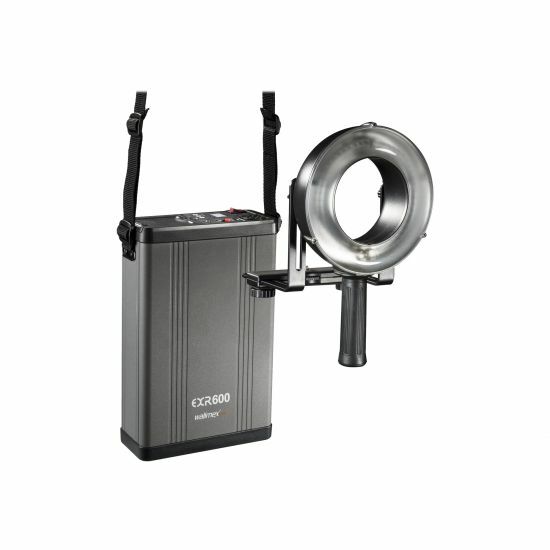 Due to the round flash tube the ring flash is particularly suitable for effects in portrait photography. Tilbageføringstid (fuld strøm) 2,6 sek.